Recently, a client from Pakistan bought our small biomass briquetting plant for starting his own briquetting business. The output of the plant is 500kg/h. To make the production line easy to expansion in future, the dryer is chosen to with a large output. As one of the most reliable biomass briquetting plant manufacturer, before delivery, each equipment will go through seriously inspecting. View the following photos took during goods inspection of this order. 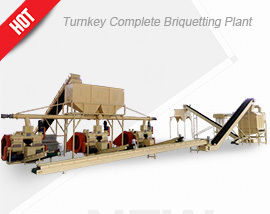 To get more about setting up a biomass briquette plant, don’t hesitate to contact us! We are always glad to help! Suitable Biomass Materials: The machine utilizes wood waste products such as saw dust and wood shaving in the manufacture of the fuel briquettes. Agricultural wastes such as peanut and coconut shell, palm fibre, stalk and rice husk can also be used. 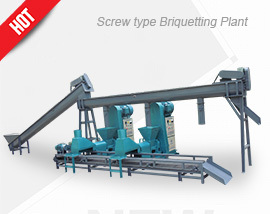 Our briquetting machine is an easy to clean and high quality product, with a durable life screw shaft made of steel. Its inner former can serve for up to 2 years! Its heating section has 2 heat collars, both made of ceramic interior and thick copper wires. 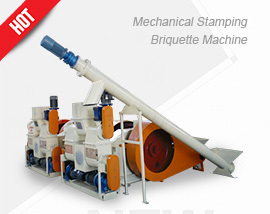 In addition, it has a lubricating system for the gearbox and an auto cutting system for the briquettes.